This weekend I was reminded of a project I completed years ago - probably 30 years ago or so - back when our two daughters were young and heading off to school. They needed painting smock and I decided to make them each a special one designed and crafted by me. I saved those smocks and gifted them to my daughters as presents at their first baby showers back when they became parents. 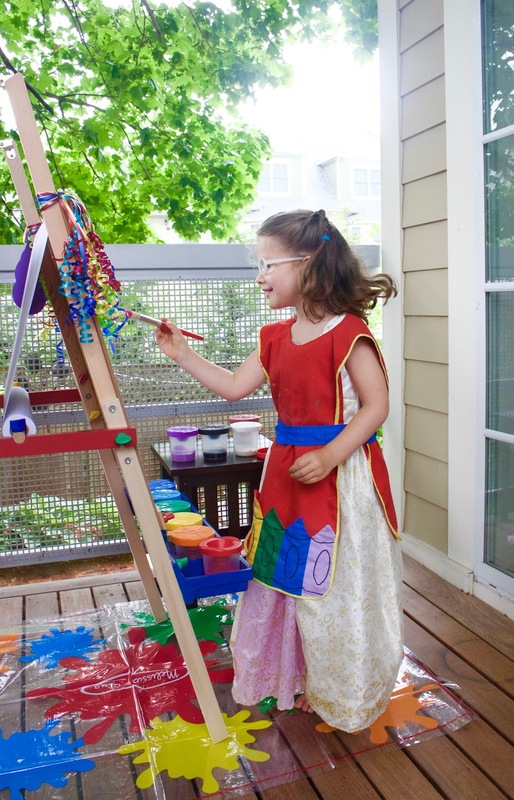 Yesterday was the birthday party of one four year old granddaughter and we gave her the Melissa and Doug easel because (in her words), "I just HAVE TO paint!" My daughter brought out the smock made for her about 30 years ago. Handmade gifts tend to create special memories! How wonderful and she does look like the real artist.